The International Association of Jesuit Universities was constituted this morning at a ceremony in the Sanctuary of Loyola. 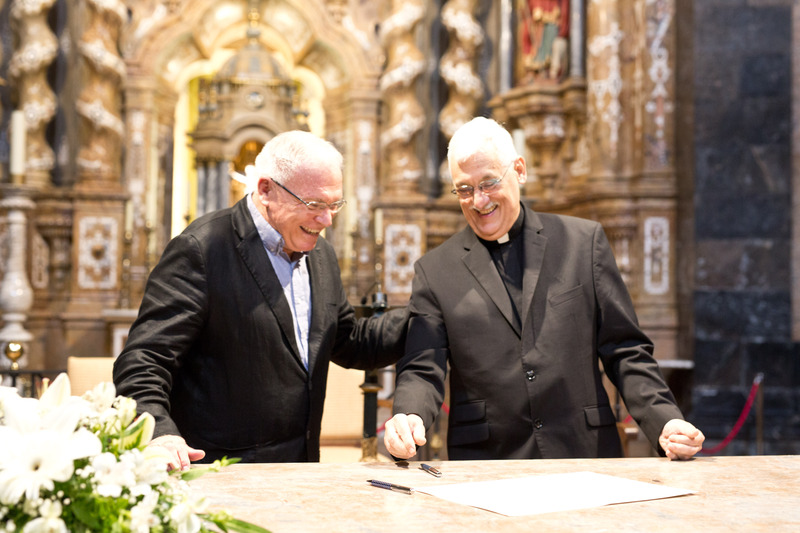 Superior General Arturo Sosa SJ and the Secretary of Higher Education, Michael J. Garanzini SJ, signed the Charter, along with representatives of each of the six Conferences of the Society of Jesus that were called to the altar one by one, amidst ovations from the Assembly participants, who filled the Basilica. The Charter includes a statement of identity that describes the IAJU as “the international advisory and coordinating body of the Secretariat of Jesuit Higher Education”. The mission statement says that “the IAJU is to contribute to the progress of the Society’s higher education apostolate through the application of its decrees and documents in order to promote the development of a fairer and more humane world for God’s greater glory and honor”. The purposes of the new Association are: to promote collective reflection on the mission, to boost collaboration, to represent its members at international meetings and collaborate with others, to contribute to the development of Jesuit higher education and its mission through promotion of projects and programs and to support the expansion of Jesuit higher education for the excluded and the poor. The charter also includes details about membership in the Association and the basic characteristics of the General Assembly and the Board of Directors. All institutional members will be represented at a tri-annual General Assembly of the IAJU; the Assembly is advisory to the Society of Jesus and its Father General through the Secretary for Higher Education. The new IAJU board will be formed by twelve members, two from each conference (the first members will be voted in tomorrow). The Board of Directors will meet at least once a year.